Steiner Synthasystem DIY: Starting a Synthasystem! Time for more modular irresponsibility! As if I didn't have enough in-progress MU modules that I am building, and 3 panels for a Best Of CGS synth on the way, I decided to add something to the mix. These were originally designed & sold in the late 1970s and early 1980s. 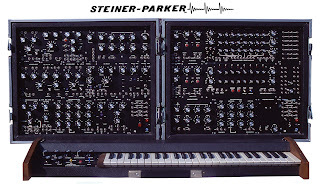 From what I can tell it is a somewhat obscure system... the near lack of online information about it has always put it in the same category as other obscure early modulars like the E-mu, Polyfusion, and Aries (at least to me). 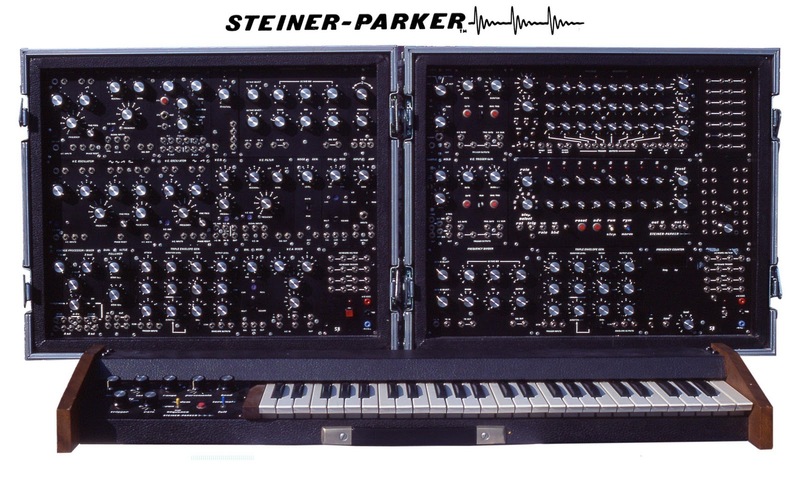 Though also rare, the Synthacon is probably the more well-known Steiner synth - if only due to the popularity of the filter topography in many DIY (and other) modules, with its LP, BP, and HP inputs. But everyone has surely heard the Synthasystem! The first sounds heard in Apocalypse Now (the helicopter, before The Doors song kicks in) was done on a Synthasystem - by Nyle Steiner himself - along with many other parts of the soundtrack. Ultimately, after looking over the modules, and discussing it a bit with David, I decided that I needed to jump aboard! I got my first set of PCBs the other week, and my initial Mouser order yesterday, so the madness has officially begun! I'll use this blog to document my build of the system, along with my various thoughts and insights.